Every Business needs funds and most of the times every business needs borrowings to support its goal & objective. Banks always need your idea to be produced in writing to consider and sanction the loan. Project Report is a vital step in your loan proposal sanction process. Project Report is an idea-concept or a plan that is intended to be carried out. A project report for a new or expanding business, conducts a profound road map for effectual business venture. 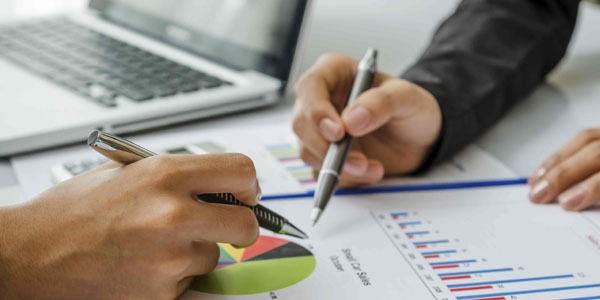 It discusses whether the business requires finance or not and how much exactly, the challenging risks, several problems en route, etc.Hence it becomes vital for every new or expanding business to prepare a Project Report, to acquaint them on forewarning issues. CMA Data means Credit Monitoring Assessment Data. CMA data is must for each and every Business loan which includes Term Loan, Cash Credit, Bank Guarantee, Letter of Credit and Agricultural Loans, etc. for Feasibility Analysis and Credit Rating Analysis of the proposal. Reach out to us for assistance for preperation of Project Report & CMA Data for our Loan Requirements. We can also assist with your short term & long term fund arrangements. We understand the strategy of our clients and render the best possible solutions to meet their financial requirements. We help our clients in preparing project reports, compiling relevant data and liasoning with banks and financial institutions.